Didlake Inc. recently cited “Best for Did­lake” award winners. 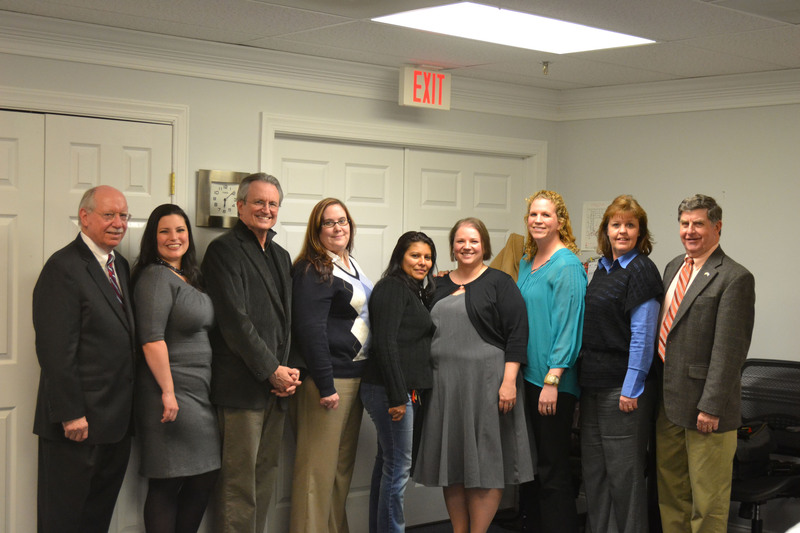 Pictured are Didlake President and CEO Rex Parr (from left), Erika Spalding, Paul Martz, Patricia Groff, Maria Arriola, Bandy Emmons-Powell, Emily Basford, Susan Miller and Didlake Board Chairman Richard Ratcliffe. Team Award—CARF Team, comprised of Emily Basford (team lead), Brandy Emmons-Powell (co-lead), Bernie Carpenter, Maria Arriola, Patricia Groff, Paul Martz, Susan Miller. Winners were nominated by their peers and selected by a committee of Didlake employees from throughout the organization. Each winner received a cash award and additional recognition. Didlake, Inc. is a not-for-profit corporation headquartered in Manassas, Virginia. It was founded in 1965 to create opportunities for people with disabilities through services that connect them to employment, education and the community. It provides contract business services for commercial and government customers and has won numerous awards for its facilities maintenance; packaging/ assembly; and administrative services. The organization operates throughout the Washington, D.C. metro area, in the Roanoke Valley and in Greater Hampton Roads. It serves more than 1,600 people with disabilities annually. Didlake, Inc. is licensed by the Commonwealth of Virginia, accredited by CARF and proudly serves the nation through the AbilityOne program. Its partners include the Virginia Department of Rehabilitative Services, local Community Services Boards and United Way of the National Capital Area. For more information, visit www.didlake.org.